Firebox boiler 5'6" x 9'6", 106# steam; 15 x 15 cyl. engine, 200 hp at 180 rpm. 1884,May 7 Enrolled Port Huron; owned Albert Moore. 1899 Owned Vessel Owner's Towing Co., Cleveland, OH. 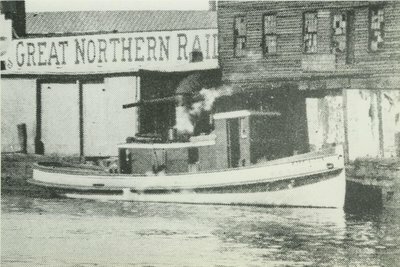 1901 Owned Great Lakes Towing Co.